In the mid-50s, the idea of a light single-seat helicopter has become fashionable. Helicopters of this type were constructed in the USA, France and the Netherlands. Some of these helicopters went into series production: YH-32 Hornet in the USA and H-3 Kolibre in the Netherlands. Therefore, one should not think that the JK-1 helicopter was a bad idea. 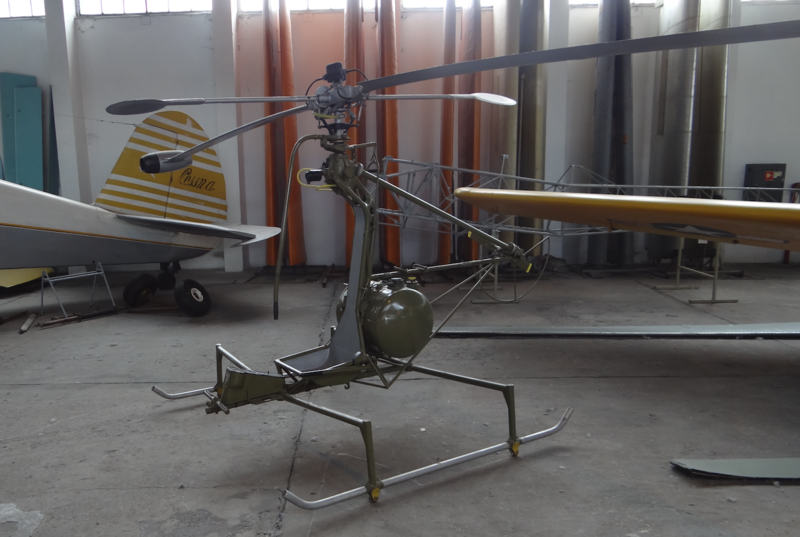 Pioneer work on a similar helicopter was undertaken by a team of constructors led by engineer Jerzy Kotliński. The work was carried out at the Institute of Aviation in Warsaw, commissioned by the Polish Army. The helicopter was supposed to be a simple construction, without a casing and a closed cockpit. The helicopter's tasks were to include patrolling and communications tasks. The most interesting was to be a modern drive. It consisted of two jet engines, which were placed at the ends of the rotor blades. The two engines were jet type. Streams engines were built by doctor engineer Stanisław Wójcicki. The engines were made in four different versions. All engine prototypes were characterized by small dimensions and low mass. The ramjet engines mounted on the helicopter had a thrust of 0.12 kN at a speed of 180 m / s. Fuel pipes for ramjet engines are placed in the rotor blades. The helicopter project was developed in 1955-1956. 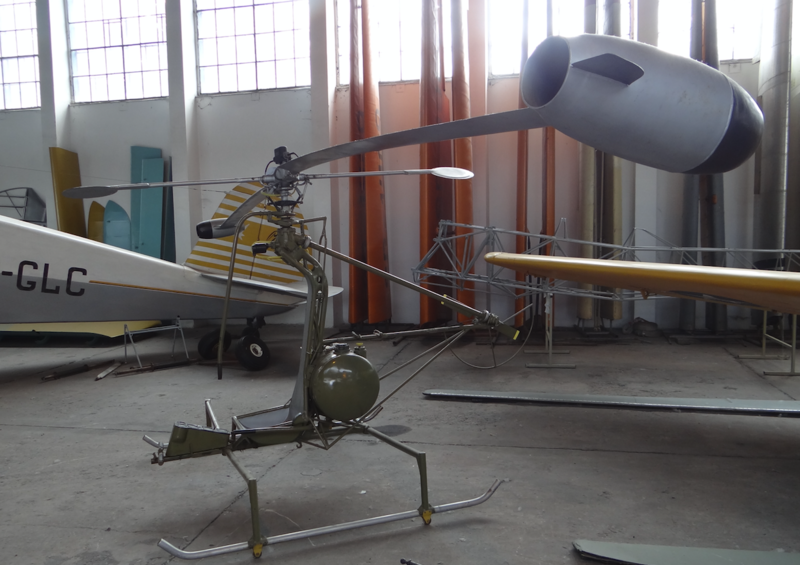 In 1957, the first prototype of the helicopter was built in the Experimental Production Plant. Its received the designation JK-1 Bumblebee. The name JK-1 comes from the initials of the main constructor. On June 15, 1957, the helicopter was placed in the experimental station and tests began. The jet engine worked and had to have a certain forward speed. An electric motor was used to unscrew the rotor. In the future, it was planned to use small rocket engines for solid fuel. The trials of the first prototype lasted only one week. On June 21, 1957, during one of the next tests there was a tragedy. One of the engines stopped. 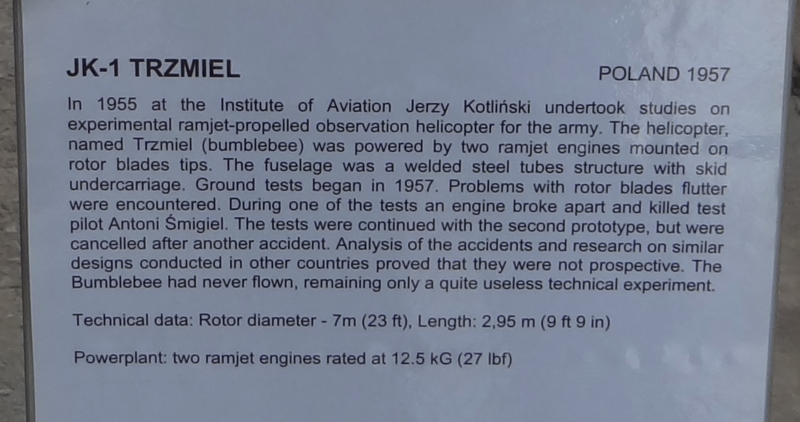 As a result, an experimental pilot Antoni Śmigiel, died. Other people were injured: engineer Bronisław Żurakowski, mechanic Wacław Gipsiak. The helicopter was destroyed. After some time, tests were resumed on the second prototype. The second prototype had several structural changes. For example, it was a stiffened tail beam. Detected defects were systematically removed. 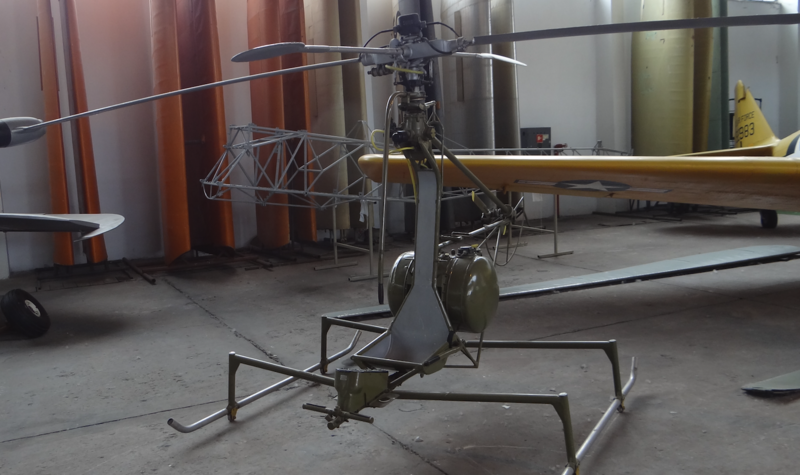 A third prototype of the helicopter was built. The tests lasted until October 1959. The program was discontinued at the end of 1959, without the first free flight. In 1958, the engine was also broken. No person was injured because the tests were carried out remotely, automatically. 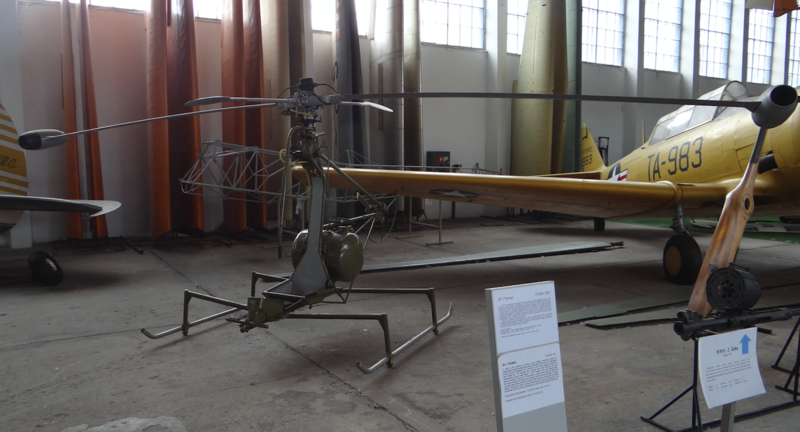 The preserved prototype JK-1 Trzmiel went to the exhibition of the Museum of Aviation and Astronautics in Krakow. Currently, it is the Polish Aviation Museum.